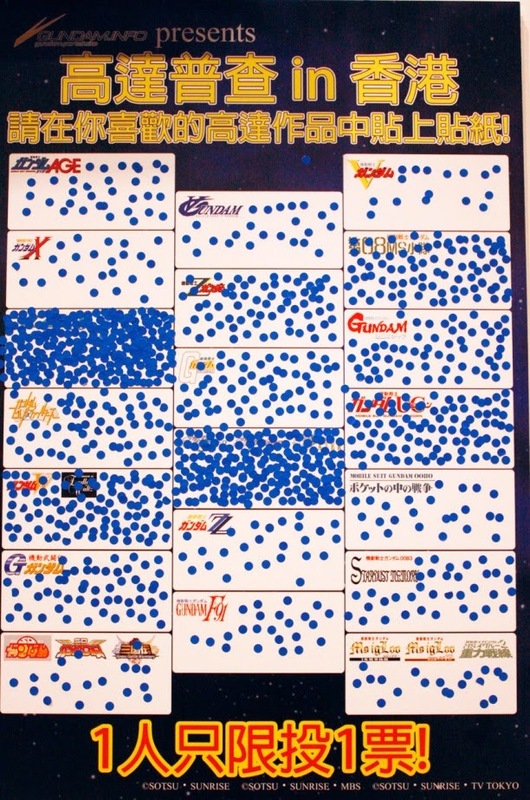 Gundam.info Hong Kong surveys at Chara hobby Hong Kong 2014 for "what is your favorite Gundam series among the list given. Visitors presented their votes by putting magnetic dots on the voting board. the covered parts from left 3rd block down is Gundam 00 and the 4th block in the middle is Gundam SEED series.